What Is VLAN and How It Works? With the rapid growth of networks in size and complexity, many companies have adopted VLAN technology to simplify network design and deployment. Then, what is VLAN and how it works? Let’s have a look at this post and then find an answer. It’s known that a LAN (local area network) consists of one or more computers in a limited area within office buildings and university campus. Then, what is VLAN? Does it have something to do with LAN? Actually, VLAN, or virtual LAN, is a logical area that contains one or more LANs. More exactly, a VLAN refers to a logical network created by network switching software on the basis of switching LAN. It is an end-to-end network which can span different network segments or even different networks. A VLAN forms a logical subnet, that is, a logical broadcast domain, which can cover multiple network devices and allow network users in different geographical locations to join one same logical subnet. Normally, a VLAN is formed on the basis of a physical network. Therefore, establishing a VLAN requires a corresponding network device that supports VLAN technology. 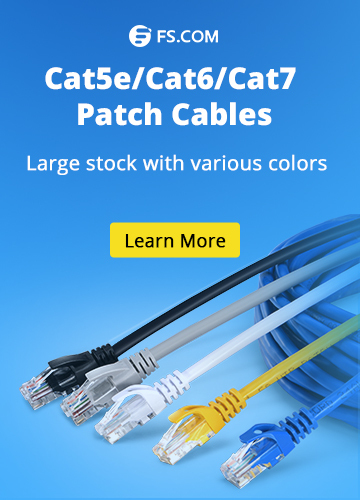 When different VLANs in the network communicate with each other, routing support is required. In this case, a routing device needs to be added. To implement the routing function, a router or an Ethernet switch can be used. Each VLAN configured on an Ethernet switch can perform address learning, forwarding, filtering, and loop elimination mechanisms like a separate physical bridge. It allows network administrators to group hosts together even if the hosts are not directly connected to the same network switch. For example, a VLAN could be used to separate traffic within a business so that users or low priority traffic cannot directly affect the rest of the network’s functioning. Many Internet hosting services use VLANs to separate their customers’ private zones from each other, allowing each customer’s servers to be grouped together in a single network segment while being located anywhere in their data center. You can define one or more virtual bridges within a switch. Each virtual bridge you create in the switch refers to a new broadcast domain (VLAN). Traffic cannot pass directly to another VLAN (between broadcast domains) within the switch or between two switches. 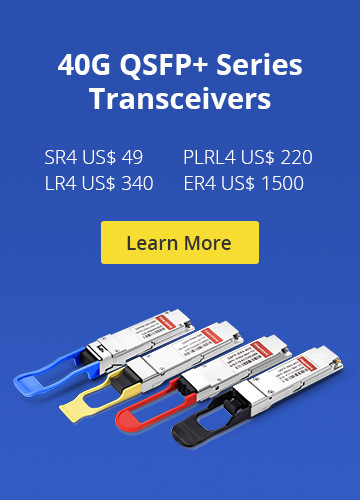 To interconnect two different VLANs, you can use routers or Layer 3 switches such as Gigabit Ethernet switch and 10GbE switch provided by FS. In addition to “what is VLAN and how it works”, the advantages of VLAN is worth noticing as well. Learn more about the advantages of VLAN in the following text for better understanding of VLAN. Control the broadcast storm: A VLAN is a logical broadcast domain. By creating VLANs, it isolates broadcasts, narrows the broadcast range, and controls the generation of broadcast storms. Improve the overall security of the network: Through the VLAN division principle such as route access list and MAC address allocation, you can control user access rights and logical network segment size, and divide different user groups into different VLANs, thereby improving the overall performance and security of the switched network. 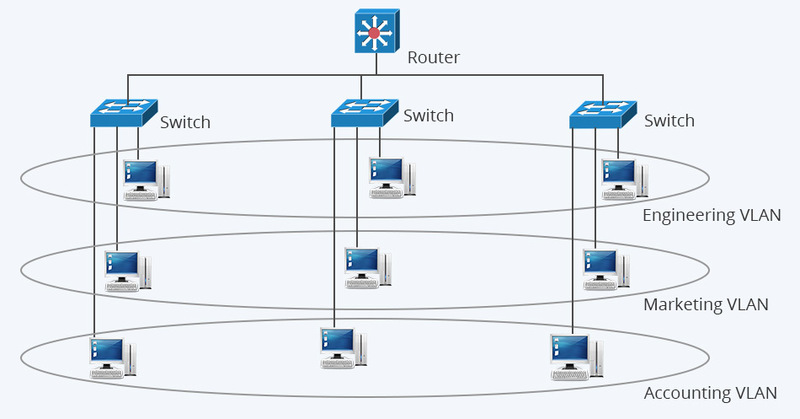 Make network management simple and intuitive: For switched Ethernet, if network segment allocation is re-established for some users, the network administrator needs to re-adjust the physical structure of the network system, and even need to add network devices to increase the workload of network management. For a network using VLAN technology, a VLAN can divide network users in different geographical locations into one logical network segment according to department functions, object groups, or applications. The workstation can be arbitrarily moved between workgroups or subnets without changing the physical connection of the network. The use of virtual network technology greatly reduces the burden of network management and maintenance work, and reduces network maintenance costs. In a switched network, VLANs provide an elastic combination of network segments and mechanisms. From all the information above, you may get clear about “what is VLAN and how it works” and the advantages of VLAN. With VLAN technology, one can realize virtual work group through segmenting the LAN devices into every network segment logically but not segmenting the LAN devices into every network segment physically. Ethernet Network advantages of vlan, how vlan works, what is vlan, what is vlan and how it works. permalink.